The popularity of Christmas tree decorating in America grew when imports from Europe began in the 1870’s. In 1880 F.W. Woolworth was amazed when his first shipment of German Christmas ornaments were sold out in a couple of days from the Christmas stores department.Christmas stores stocked silver foil icicles, chains of tiny Czechoslovakia beads, and crinkly wire tinsel that added sparkle to the Christmas trees. Cardboard ornaments, tin metal Christmas ornaments, and paper decor were popular in the Christmas store until the 1900’s. Christmas stores then introduced a wide verity of plastic holiday decorations. 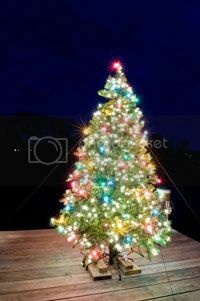 Today Christmas trees are usually the focal point in the American home. 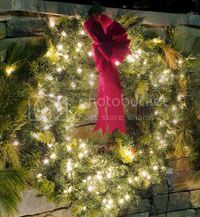 Decking the halls and home with wreaths, and garlands add additional beauty. With all the modern advances in the Christmas industry, decorating for Christmas has become an art form. During the holiday season the magic of Christmas comes alive with the creativeness of the Christmas store and designers around the world. There are no rules when it comes to the personal selection of Christmas decorations. We might conclude by observing homes, businesses and Christmas stores that the bells of freedom bells ring when it comes to Christmas creativeness. In America, the tradition of hanging a wreath on the front door is a welcome gesture of friendship. The original American tradition of the outdoor Christmas lights is a cheerful delight throughout the holiday season. Passerby’s of all descriptions can enjoy the beauty of the outdoor lights. Through out the cold winter days of December, there are colorful light displays around every corner that bring the holiday spirit to everyone. This entry was posted on Tuesday, December 11th, 2012	at 3:31 am	. You can follow any responses to this entry through the RSS 2.0	feed. Both comments and pings are currently closed.